All of this is done quickly, with almost no pain to the client, and in a way that is tremendously easy on your body. Because we have disrupted the pain loops, settled the parasympathetic nervous system, created almost no additional pain, and brought the area back to homeostasis, the results of an SMRT treatment last. Join us for a hands-on class or study by video and learn to unlock all structures in the lower legs & feet. 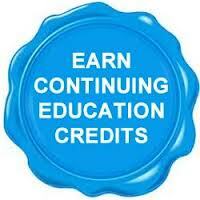 Video course is NCBTMB approved, as well as NY sponsored, for 6 CE’s. Check your state regulations to see how many CE’s you can receive for technique classes done by home study. In a small group I get so much more from the class. Hands on. Working with Dawn. The hands on part and understanding of the technicalities. A potential successful future treatment. Time to work on both sides of the body and working with new people for each section.